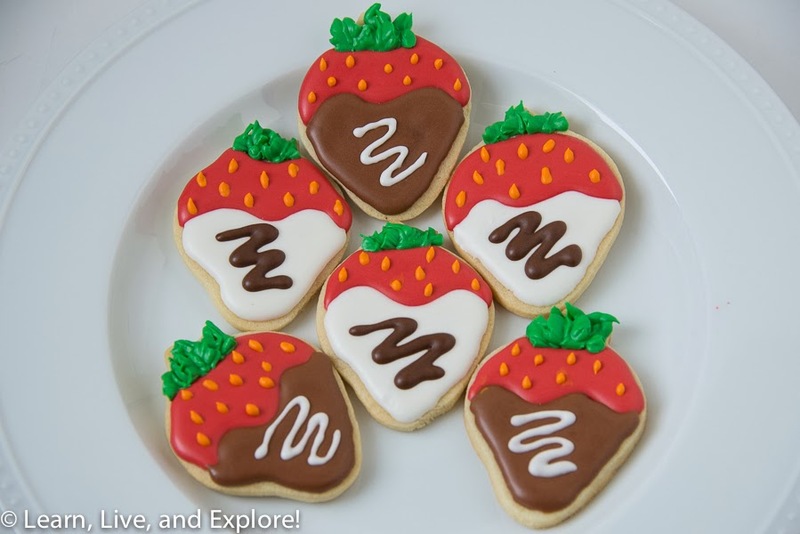 Chocolate Covered Strawberry Cookies ~ Learn, Live, and Explore! Here's an equally romantic substitute for the real thing this Valentine's Day - chocolate covered strawberry....cookies! This design was originally posted by a great cookie blogger, Sweet Sugar Belle. 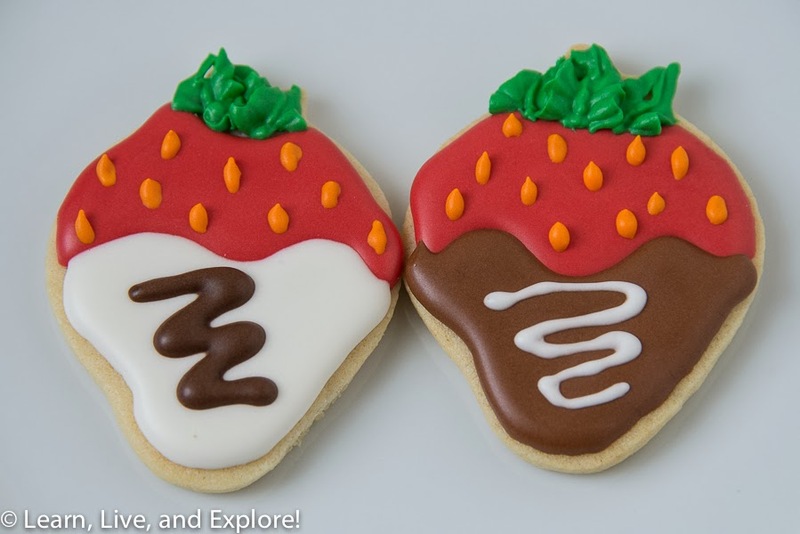 After making the cookies, the royal icing steps started with the red strawberry first. Once the red layer was completely dry, I flooded the brown and white chocolate bottoms. The leaves were made using a #67 tip, and the seeds were a #2 icing tip. I liked making these cookies because they were smaller in scale, but still pack a big impact.